PRISMA ELECTRONICS S.A., was established in 1991 in Alexandroupolis, Greece. Through a consistent and continuous effort, the Company evolved into an Information and Communications specialized company, while entering the area of electronics technology, creating an infrastructure and capabilities for Design and Construction of Electronic Systems. Characterized by innovation, the main objective is the development of Corporate Products and Services of high technology in the field of Electronics, Information Technology, Telecommunications and Energy. The export-orientation in new markets is a dynamic priority to the promotion of company products. Today, the Company is considered the largest of its kind in the Greek region, and that is the result of hard and persistent effort, featuring quality, competitiveness, reliability and effective support from its partners. The staff which supports the activities of the Company amounts to 56 people, characterized by their high training and effort to continuously further and/or upgrade their education – training. The working environment supports creativity and continuous improvement through development of new ideas in theory and experimentation. PRISMA ELECTRONICS is certified by TUV HELLAS with ISO 9001:2008. 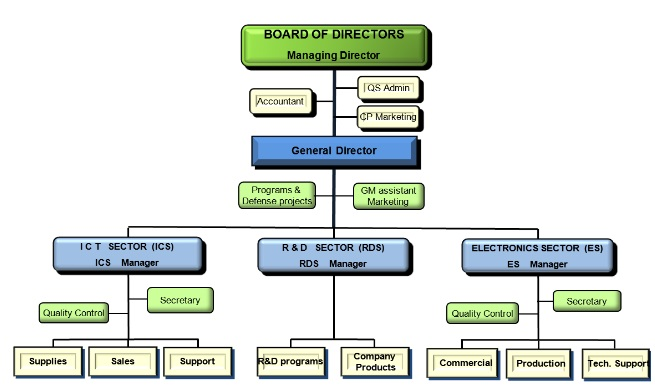 The organizational structure includes the Management, the Financial & Administrative Departments and the Sectors of Electronics, Information and Research & Development. The wide range of the Company’s business activities is sustained in the privately owned main offices (700 m2) in Alexandroupolis, the industrial site (1900 m2) in the Industrial Zone of Alexandroupolis and the Company's offices in Athens. Through systematic Research and Development in Electronics, Information Technologies and Communications, following methodical approach and effort for a significant period of time, PRISMA ELECTRONICS has acquired expertise and experience invested in creating new and innovative products, that are promoted in Greece and abroad. XENAGOS: An Interactive digital tour-guide system for Museums, Archaeological Sites, Exhibitions, Galleries. 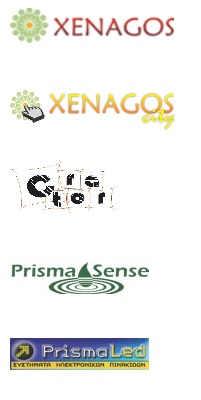 XENAGOS CITY: Interactive digital tour-guide & information system for cities and open spaces. CRATOR: Workflow management system for external use, via PDA. PRISMA SENSE: Smart wireless multi-sensor networks, using ZigBee communication protocols, suitable for surveillance of prevailing conditions and state of affairs. PRISMALED: Electronic Variable Message Signs (VMS) suitable for advertising, information bulletins and warning systems.